Cotswold estate agents are obviously the best professionals to ask for expert assistance in matters of buying real estate property in England’s Area of Outstanding Natural Beauty. These real estate professionals know the ins and outs of the Cotswold market in particular and the laws, rules and regulations concerning the market in general. In short, you are less likely to commit mistakes in buying your next property with real estate agents on your side. The best Cotswolds estate agents work closely with their clients to establish a budget for the property. Said budget usually include all the incidental expenses (i.e., legal costs, taxes, and land registry fees) necessary to complete the transaction. We suggest setting aside 15% of your budget for the property itself for these incidental costs just to be realistic about it. The best Cotswolds estate agents typically have several options to choose from regardless of your choice in price and features. 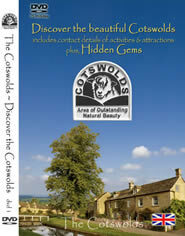 For example, you can purchase 17-century cottages in the Bourton-on-the-Water area for reasonable prices. Keep in mind that what you are willing to shell out for the property may be lower or higher than what the property owner wants to offer in terms of price. We suggest letting your real estate agent handle the negotiation part of the process since it can be complicated although we do suggest also taking an active part. It is still your money so you should be prepared to protect it, so to speak. Let’s assume that you and the seller have agreed on the price of the property. Your real estate agent will write a letter to confirm the agreement but it should be emphasized that said letter is not legally binding. Only when the contract is signed does the transaction become legal. The process of selling and buying real property is, indeed, complicated. Let the Cotswolds estate agents help you now! Butler Sherbon, the Cotswolds estate and Letting Agent has offices in Burford,Cirencester and Stow-on-the-Wold.This Cotswold Estate Agent also specialises in farm,land and estate management and rural property consultancy. As with all Cotswolds estate agents they are passionate about the Cotswolds ensuring they find the right property for you and your budget and are committed to the successful sale of your property. Hayman-Joyce Estate Agents offer property for sale or rent in some of the most idyllic parts of Oxfordshire,Worcestershire,Warwickshire and Gloucestershire.They are committed to finding your dream property as are the many Cotswolds estate agents that reside in the Cotswolds-the beauty of the Cotswolds and community spirit found here make it an enviable place to live and work.